Home / Kumbh Mela / Nashik / News / Travel / How to Reach Nashik for KumbhMela 2015? How to Reach Nashik for KumbhMela 2015? Pilgrimage Capital of South India, Nashik is experiencing divine and spiritual vibrations all over city as “KumbhMela” is taking place during 2015. Starting 26th August 2015, devotees across India would visit Nashik and Trimbakeshwar to take Holy Dip in River Godavari (called Dakshin Ganga). As per estimates, each Shahi Snan is likely to witness at least 60 lac to 1 crore pilgrims in Nashik. 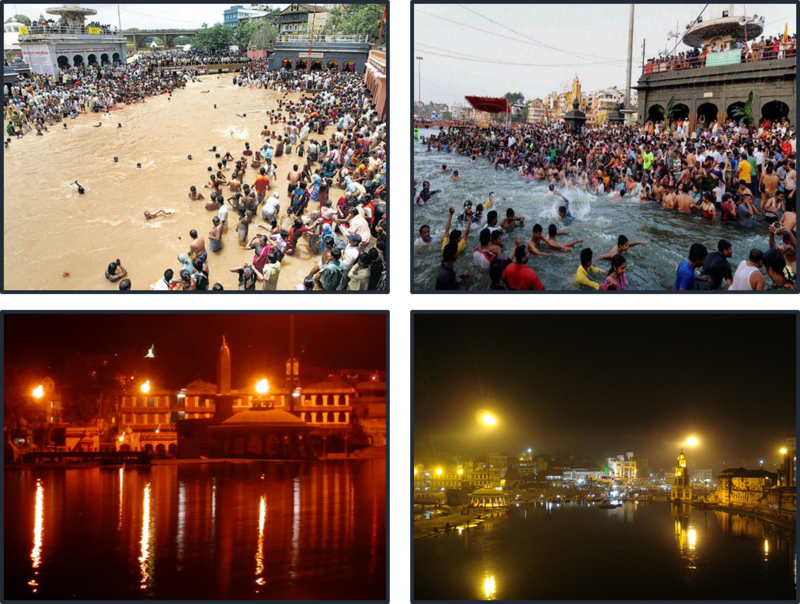 KumbhMela at Nashik is unique as it is celebrated at 3 places Nashik, Trimbakeshwar and Kawnai. Trimbakeshwar is 30km away from Nashik while Kawnai is about 40km. Apart from place of religious importance, Nashik is one of the major city in Maharashtra. It is very well connected with all bigger cities in India either by Road or Rail. In near future, air connectivity is likely to start for Nashik as state of art airport is ready at Ozar which is 20km away from the city. For visitors who want to reach Nashik via Air Route, nearest airport is “Mumbai” which is connected with all major cities in India as well as Internationally. The distance of Mumbai Airport is about 180km from Nashik City. To reach Nashik by rail route, passenger should get down at Nashik Road (NK) Railway Station which comes under Central Railway (CR). The Railway station is about 7km away from Nashik city centre. Nashik Road railway station is one of the busiest with passenger railways connecting to cities like Mumbai, Delhi, Agra, Bhopal, Nagpur, Hyderabad, Kolkata, Lucknow, Amritsar, Goa and Cochin. While Manmad Junction (MMR) on Central Railway route is one more important railway station in Nashik District about 80km from Nashik. Manmad Junction connects Nashik with entire South India such as Bengaluru and Chennai. For people coming from Rajasthan and Gujarat by train, passengers can come to Nashik via Mumbai. 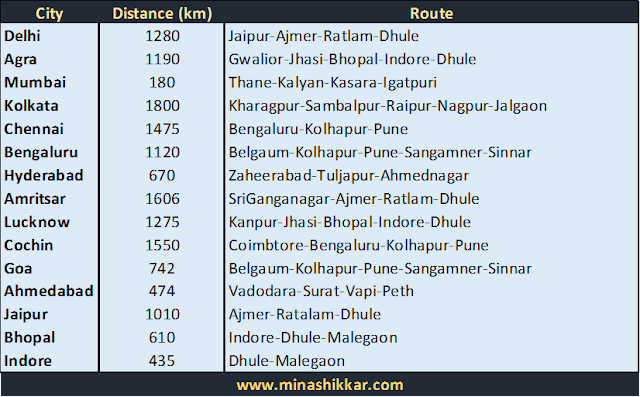 Nashik is very well connected to all major Indian cities by Road Network. Mumbai-Agra National Highway (NH3) and Nashik-Pune National Highway (NH50) passes through Nashik city. While Gujarat is connected via Jawhar, Peth-Vapi and Saputara roads.